An ambitious young executive is sent to retrieve his company's CEO from an idyllic "wellness center" at a remote location in the Swiss Alps, but he soon suspects that the spa's treatments are not what they seem. Best-known for the Pirates of the Caribbean films, director Gore Verbinski creates an “R”-rated psychological thriller via 2017’s A Cure For Wellness. Executives at a large financial services business get a disturbing letter from their CEO, Roland Pembroke (Harry Groener). This upsets the company’s leaders, and they worry about Pembroke’s sanity. He currently resides at a curious “wellness center” in the Swiss Alps, and rising young executive Lockhart (Dane DeHaan) gets the order to bring Pembroke home so he can sign off on an important deal. This falls into the “easier said than done” category, as Lockhart encounters much resistance from the Vollmer Institute’s staff. Stuck as the center, Lockhart needs to deal with many threats to his personal and psychological safety. Going into Cure, I thought it gave off a vibe similar to that of 2010’s Shutter Island, and not just because DeHaan bears some resemblance to Island’s Leonardo DiCaprio. Both movies fit that “psychological thriller” mode and explored what happens to the protagonist when he winds up at an institution. As soon as I got into Cure, though, I saw parallels with another film: 1979’s Apocalypse Now. The scene in which the company’s board shows Pembroke’s letter to Lockhart and sends him on his mission offers a clear throwback to a similar part of Now. Despite that quick tease, the film lacks much to compare to Coppola’s classic. Cure continues to provide allusions to a mix of other movies, though, as it tosses out casual links to efforts such as Dr. Strangelove, Marathon Man and many others. This references leave Cure seriously devoid of originality, but that doesn’t become the film’s biggest weakness. Instead, its greatest drawback stems from its essentially absence of narrative movement or actual drama. Heavy on atmosphere but short on story and characters, Cure does look great. It creates a creepy environment and gives us exemplary production choices. Unfortunately, these add up to nothing more than window-dressing and the eerie visuals can’t hide the film’s essential lack of substance. Cure just rambles and rambles – it feels more like a loosely connected series of spooky moments than an actual movie. By the time Cure finally reveals its “secrets”, the audience seems unlikely to care. At almost two and a half hours, the film plods along seemingly without end, and whatever potential power it might provide vanishes well before we reach the climax. Cure feels like a movie that believes it boasts insightful, meaningful material, but it doesn’t. No matter how many flashbacks and hidden meanings it throws our way, these never add up to anything more than a dull series of moody visual elements. 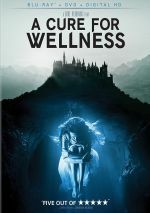 A Cure For Wellness appears in an aspect ratio of approximately 1.78:1 on this Blu-ray Disc. This turned into an excellent visual presentation. Sharpness always looked terrific. Virtually no softness emerged, so the movie boasted a tight, well-defined image. I saw no moiré effects or jaggies, and the presentation lacked edge haloes or print flaws. Chilly teal dominated the palette. Some shots went with a mustard yellow but blue-green stayed the focus. As predictable as these choices may be, the Blu-ray reproduced the hues as expected. Blacks seemed dark and deep, and low-light shots offered nice clarity. The transfer worked fine. Heavy on atmospherics, the film’s DTS-HD MA 7.1 soundtrack seemed fine for the material. Matters opened up occasionally – such as during a car wreck – but most of the movie went with creepy ambience. This didn’t threaten to become a great surround mix, but it broadened in a moderate way. Audio quality satisfied. Music showed nice range and warmth, while speech appeared natural and distinctive. Effects appeared accurate and vivid, with good clarity and range. This added up to a more than adequate track. A Deleted Sequence lasts four minutes, 46 seconds. Called “It’s Wonderful Here”, the scene shows Lockhart’s interactions with the patients and more of his treatments. Though not great on its own, it does better explain one potentially confusing aspect of the story. Under Meditations, we get three clips with a total time of eight minutes, 24 seconds. These show video pieces meant for the movie’s patients. They’re pretty forgettable. A featurette called The Score fills four minutes, eight seconds and delivers notes from composer Benjamin Wallfisch. As expected, he tells us a little about the movie’s music. While brief, the piece offers a few good notes. The disc opens with ads for The Belko Experiment, Morgan and Shut In. These reappear under Sneak Peek and we also get three trailers for Cure. A second disc presents a DVD copy of Cure. It offers the same extras as the Blu-ray. Bloated and boring, A Cure For Wellness offers a feeble attempt at psychological horror. The movie packs in one lame attempt at creepiness after another with little actual drama on display. 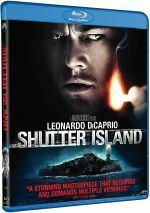 The Blu-ray offers excellent picture along with pretty good audio and minor supplements. Cure becomes a tedious, tiresome tale.